Dajemy naszym klientom niepowtarzalną szansę wygrania zwrotu pieniędzy! Nie ważne czy zamawiasz od nas raz w tygodniu, czy raz w miesiącu – liczy się fakt, że jesteś naszym klientem. I z to Ci dziękujemy. Co więcej wraz z Nowym Rokiem, pragniemy sprawić miłą niespodziankę naszym klientom i specjalnie dla Was przygotowaliśmy konkurs, w którym każdego tygodnia, przez 4 tygodnie będziemy zwracać pieniądze za dokonane zamówienia. Co tydzień jedna osoba wygra zwrot kasy za ich zamówienie. Wystarczy w dniach od 21 stycznia 2019 do 17 lutego 2019, złożyć zamówienie za min. £25 w naszym sklepie internetowym i automatycznie zostaniesz zgłoszony/a do losowania. Jeśli Twoje zamówienie zostanie wylosowane, otrzymasz całkowity zwrot pieniędzy za swoje zamówienie! 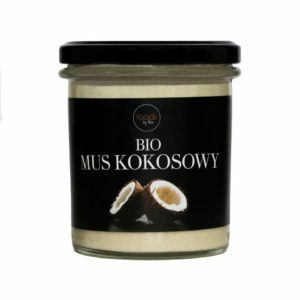 Tak, zwrot pieniędzy – czyli będziesz mógł/a cieszyć się produktami foods by Ann kompletnie za darmo! Każde dodatkowe zamówienie za min. £25 to kolejne zgłoszenie do losowania. Tak więc czym częściej zamówisz, tym większa szansa na wygraną! Tak więc na co czekasz, dodaj swoje ulubione produkty do koszyka, opłać zamówienie, rozkoszuj się produktami i czekaj na emaila od nas z dobrą wiadomością, a następnie na zwrot pieniędzy*. We’re giving our customers amazing opportunity to win your money back! It doesn’t matter whether you’re buying from us once a week or once a month, the fact that you’re our customers counts. And we would like to thank you for it! What’s more with the New Year in a full swing, we would like to offer our customers a nice surprise and that’s why, we have put together a competition. Once a week for 4 weeks, we will be refunding money for order. Each week one lucky customers will receive a full refund for their order. Simply place an order between 21st January 2019 and 17th February 2019 for a min. of £25 and automatically be entered to that week’s draw. If your order gets selected, you will receive a full refund. Yes, your money back – meaning you can enjoy foods by Ann products on us! Each order for more than £25 gets you another entry to the draw. So, the more you order, the more entries you will get. So, don’t hesitate and add your favourite products to the basket now, pay for your order, enjoy the products and look out for an email telling you a winner and then a full refund*. *A full refund will be issued only to the winners. One of Anna Lewandowska’s most successful and popular products is her versatile coconut mousse. It is ecological and comes from 100% certified organic crops and is made by grinding the flesh from the coconut. What makes this product so useful is the way it can be used in many different ways for many diverse meals because it can take the form of a cream at higher temperatures. It is a tasty source of fibre, potassium, magnesium and iron. Anna’s coconut mousse also contains vitamin D, which helps with depression, and vitamin K which aids learning, and supports neurological processes. Unlike coconut oil, it is more compact, which makes it is a great addition to dishes such as omelettes, cakes or bars. In addition to this, it works well as an complement to smoothies, or as a healthy replacement for cream, completing classic desserts. Other ways that the mousse can be used is in coffee; just one spoonful replaces sugar, meaning healthy can be delicious! In fact many people use this mousse to create a refreshingly chilled, ‘Rafaello’ flavoured coffee. All you need is 1 spoonful of coffee, some coconut milk, a few ice cubes (optional) and most importantly, Anna’s coconut mousse. What makes this so handy is how only 4 ingredients are required making it a healthy and economical treat! The next amazing snack that the mousse works extremely well with, is pancakes which everyone loves. This dish is perfect for people with gluten intolerances and the pancakes are filled with pumpkin and pear with the mousse on top. This variety of products are healthy and delicious. Alongside this, these pancakes and their filling are extremely quick and easy to make. Simply pop all the pancake ingredients (4 eggs, 100 g rice flour, 50 g gluten free oats flour, 2 tablespoons potato flour or corn starch, pinch sea salt, 2 cups plant milk or coconut milk, 1/2 teaspoon baking soda, pinch cinnamon and vanilla, coconut oil or ghee butter) into a blenders and then pour into the frying pan, making sure both sides are fried. The filling is just as simple; cut a pumpkin in half and bake in the oven at 180 degrees for approximately 40 minutes. When the pumpkin halves are cooked, peel the skin and remove the seeds. Grate the pear, add coconut milk, pumpkin pulp and add the vanilla essence, lemon drops and fresh dates. The last treat that coconut mousse is great for is coconut ‘Nutella’ which only involves medjool dates, cocoa powder, peanut butter, and plant yoghurt; all nutritional based foods and the spread is all homemade! Prepare the dates by soaking them in boiling water for 15 minutes and mix the rest of the ingredients into a smooth paste. Enjoy however you like! Lastly, Coconut Mousse by Foods by Ann only costs £4.25 in the UK, and lasts for an extremely long time. Make sure to store in a dry and shady place. After opening, keep in a refrigerator. At a higher temperature, the mousse takes a liquid form and make sure to stir well before use.